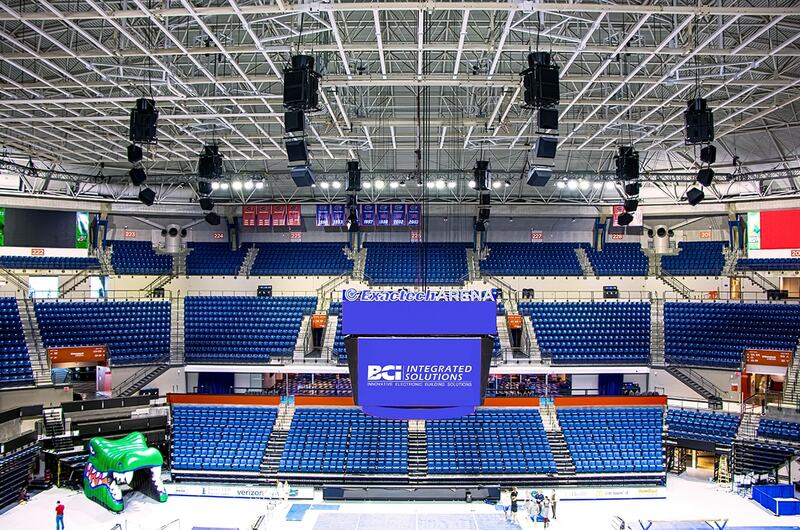 BCI Integrated Solutions worked extensively on the renovation of the Stephen C. O’Connell Center at the University of Florida. The newly christened Exatech Arena is home to the Gators basketball, gymnastics, and volleyball teams. The O’Dome hosts many other sports and entertainment functions, like the University of Florida swim team, a weight room underneath the facility, and music guests. The sound system BCI installed at the O’Connell Center is geared towards attendees. We installed eight of EAW’s latest point-source speakers along the bowl of the arena to distribute sound equally throughout the center. We also provided the rigging for these speaker clusters, including chain hoists to raise or lower the speakers for service. We also installed speakers underneath Exatech Arena’s scoreboard to cover the floor and court side. The upper bowl of the arena features delay speakers to create a connected sound system. Perimeter speakers line public walkways, allowing everyone in the O’Dome to listen to the event, regardless of what they’re doing. 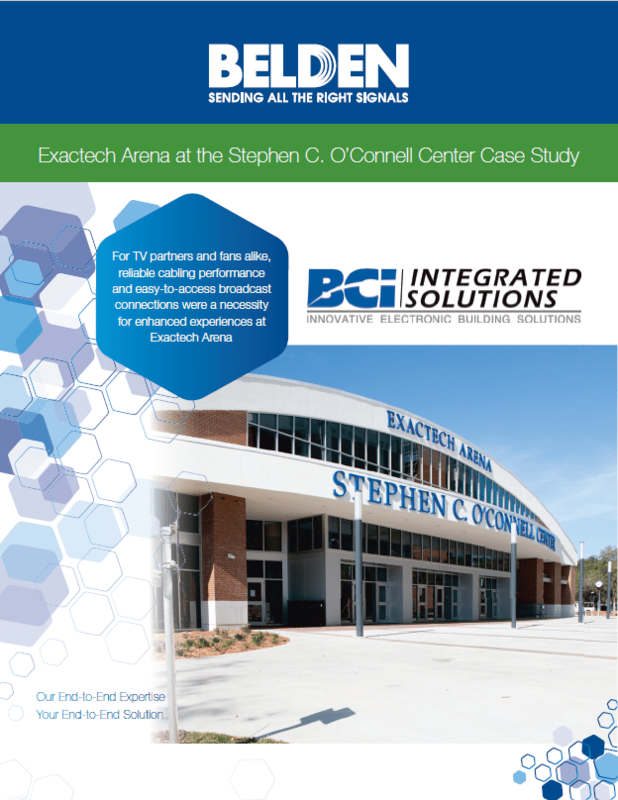 BCI Integrated Solutions also installed a broadcast cabling system to connect media trucks to the arena’s feed and distribute live broadcasts to local and national sports networks. We used Triax cabling and fiber for each uplink. This cabling system terminates outside in stainless steel ourdoor racks, ready for immediate connection.